A lot of people ask me this many a times on the blog to suggest the best time to travel to Leh Ladakh and I thought it is better to pen it down in an article so that it helps others too and does not repeat on the blog all over again and again. Well, there are two roads that lead you to Leh Ladakh popular by the names of Srinagar Leh Highway and Manali Leh Highway. Both of them generally remain closed for more than six months from November to April or Mid-May every year because of heavy snowfall on various mountain passes that comes on these adventurous roads. So, the only time to travel by road to Leh Ladakh is from Mid-May to Mid – October. And the second half of October being a risky affair to travel and May being the only likely option for Srinagar – Leh Highway as Manali – Leh Highway generally opens by June first week or late May. Wondering about best time to travel Leh Ladakh? April is the month when tourists or travelers from all parts of the world start to come into Ladakh. Restaurants start to either open or to set up for the coming season. Similarly, the guest houses, camps at Pangong Tso, Tso Moriri lakes also starts to set up. By the second week of May, generally the Srinagar Leh Highway opens and the influx of tourists starts to get into Ladakh. Supplies flow in along with fresh vegetables and fruits, hence the life comes to normalcy in Ladakh. In late April, all lakes including Pangong Tso and Tso Moriri start to melt and by mid-May, they completely melt and starts radiating the ever beautiful blue hues under sunlight. Tourists / Travellers visiting these places get good discounts as it is the onset of the season and with fewer tourists around, it is indeed a better place to be. The high mountain passes in Ladakh including both Khardung La and Chang La, are under heaps of snow and passing through them is quite an experience in itself. Carrying shades/glares/goggles is highly recommended at this time of the year. As I said, in May, most likely you will only find Srinagar – Leh to be open, so if you are interested in the complete circuit then it is not the right time. 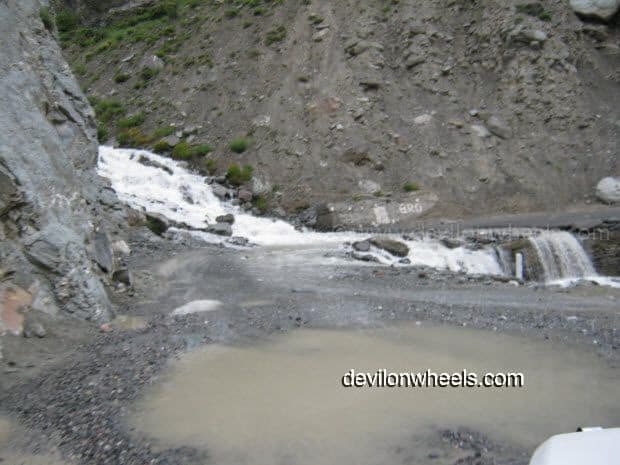 In June beginning or May end, Manali road just opens with the opening of Rohtang Pass. In the initial 7-10 days, the roads are pretty much unstable with common snow slides and intermittent blockages also happen but gradually it settles down. And from Mid of June to July just before the onset of monsoon season, it is a very nice time to travel and indeed a lot of people undertake the road journey to Ladakh at this specific window only. 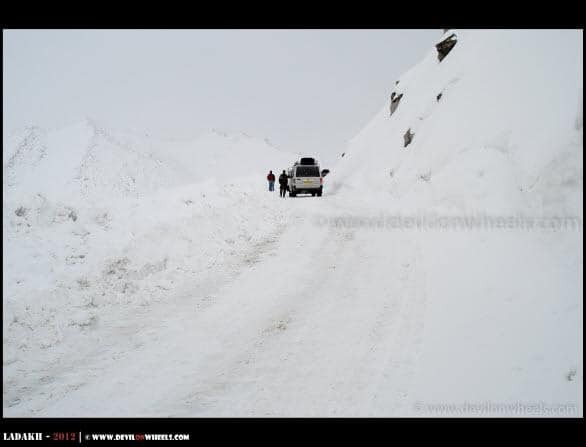 It is the perfect time for those who want to enjoy snow around the road and drive through the snow walls of Rohtang Pass / Rani nalla and Baralacha La too :)… However, keep in mind that snow starts to melt which means, ferocious water crossings and rivers are pretty common in this period. Later you will reach at a water crossing in the day, slim are the chances to cross it. So, plan to leave early in the day and reach early in the day on the destination to have buffer time as well. from Mid of June to July just before the onset of monsoon season, it is a very nice time to travel and indeed a lot of people undertake the road journey to Ladakh at this specific window only. In August, monsoons are on full flurry and rivers, water crossings go ferocious at times when rain is pouring down. Landslides are common too in this period. However, there is a catch, that the region beyond Zozi La Pass towards Leh from Srinagar side and beyond Baralacha La pass towards Leh from Manali side, being rain shadow region do not get much affected by rains. But, surely you will be facing the monsoon hassles up to Baralacha La pass from Manali side and Zozila Pass from Srinagar side. 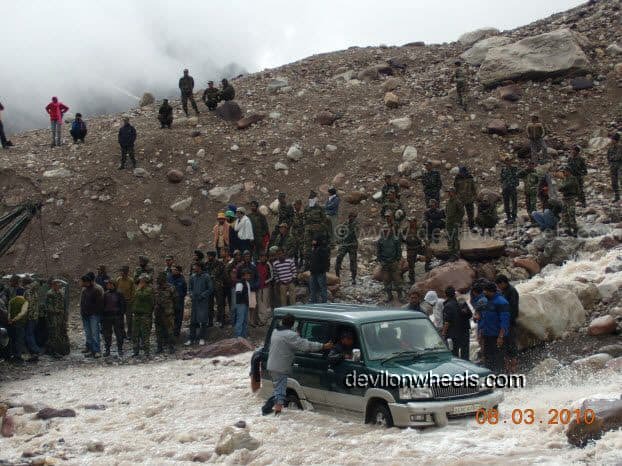 Of course, as happening for last few years Rohtang Pass & Zojila most likely to be a nightmare in this period. Even the definition of Ladakh being the rain shadow region is changing now. We have started getting rains in Ladakh too or at least overcast conditions with light rains every now and then. Few cloudbursts and flash floods have also occurred in a couple of years including 2018. So, be ready for surprises even in the rain shadow region of Ladakh too in coming years. Personally, this is my favorite season to travel to Ladakh with vibrant & burning colors all over in full glory. Post monsoon, the region becomes devoid of rains and the chill starts to set in with some intermittent light snowfall. However, the colors of fall/autumn are almost burning with beauty all over the Srinagar Leh Road, Manali Leh Road and of course entire Ladakh including Pangong Tso, Tso Moriri & Nubra Valley. The road conditions also improve a lot in comparison to the rest of the season. In fact, you will witness the best roads of the season since the maintenance works also settle by that time. It is the best time to self-drive to Ladakh if you are taking a small car like a hatchback or sedan to Ladakh. Also, it is time when some camps have closed, packed up and some still run. There is occasional snowfall as well which might close the road for a day or two temporarily. The Raid-De-Himalayas rally also happens in this window which also disturbs you as a traveler to some extent. Personally, this is my favorite season to travel to Ladakh with vibrant & burning colors all over in full glory. The period of late October and November is when cold settles into Trans Himalayas completely with sub-zero temperatures at almost all places above 14000 feet especially over Manali Leh highway and the high altitude lakes. The colors though are still beautiful in the region, tourists have almost gone away and only a few brave ones remain 🙂 :). Most of the guest houses, hotels and restaurants are closed by this time along with camps at Pangong Tso and Tso Moriri lakes which are packed up by last week of September. Dhabhas and camps at Manali Leh Highway are also deserted and locals go away to their homes to get ready for the hibernation in cold winters. 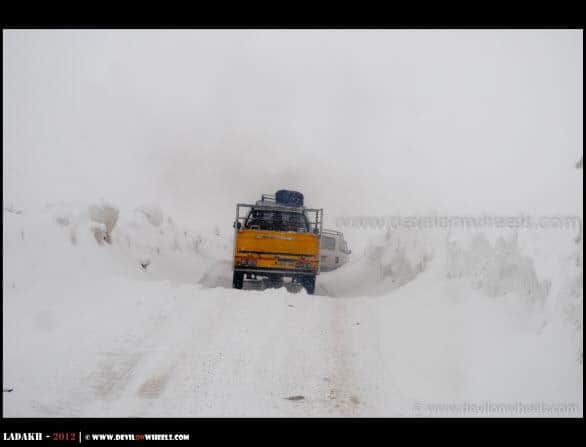 Though both Manali Leh Road and Srinagar Leh Road remain open unofficially, it is highly not recommended to travel over them especially the Manali Leh Highway with such cold conditions. There will not be many shelters available and black ice on roads that make driving a very risky affair. Black ice is quite common in this period, in fact it starts to appear in October starting as well at some of the places though does not last longer in early stages or winter season. This period is the coldest period in Ladakh where January is the coldest month of all seasons and Ladakh is cut-off from rest of the world by road. Only a few brave and bold tourists are around even though the roads to Nubra Valley and Pangong Tso Lake over Khardung La Pass and Chang La Pass respectively are kept open all around the year barring few days of heavy snowfall. Late January to February is also the time when many adventure tourists come to Leh Ladakh to walk over frozen Zanskar River from Padum in Zanskar Valley to Leh, popularly known as Chadar Trek. In this period, you are on the mercy of extreme cold. Snowfall as well is pretty common and mingled with high altitude terrain, it makes life difficult to survive and acclimatize as well. Key is to take rest, ample of rest in the initial days. Then, gradually start over reaching other high altitude places. The food options are very limited and most of the restaurants lives are deserted as their cook are out to their homes. From November to December / Mid-January types, if the sun is shining the colors in the Lakes such as Pangong Tso or Tso Moriri are breathtaking but the options to stay near them are none or limited. Just some Home Stays in nearing villages which very basic facilities will be available to brave the extreme cold. These lakes remain frozen almost up to April. So, those looking forward to see the magical changing colors of these lakes with sunlight in the day, shall refrain themselves from making a trip to Ladakh from January to late April, that is almost for 4 months. Are you still confused?? Don’t worry 😉 … I will suggest if you want to see heaps of snow and have a good adventure, then you must plan your road trip to Ladakh starting June first/ the second week up to mid of July types. However, if you are more interested in nature’s lovely colors pallet and maybe you are very much into photography then the late season is the time. You do not really want to miss out on i.e. late-September up to the second week of October when colors are oozing out vividly all over Ladakh!! If you like the article, please feel free to share it with any of your family or friends who are planning a trip to Ladakh. I am planning to visit leh by flight on 29th August 2019 with my wife & 12 year old daughter. Is it save to travel that time considering rainy season. Bro! We are a group of friends planning our trip from April 28th and fly directly to leh, will we be able to enjoy our trip without any obstructions(like snow ) or the pangong lake being Frozen or unavailability of accommodation ? What about mid May? I really want to see the unfrozen beauty of pangong!! we have planned and booked flight ticket from Bangalore to Srinagar on 24th April and return from Leh on 6th May 2018. Plan is to spend 4-5 days in Srinagar and then travel by road to Leh and spend 6-7 days there visiting Nubra , pangong and other sorrounding. Please suggest as we heard that Srinagar – Leh highway is closed till April end. Sunil, Srinagar – Leh Highway may or may not be open by last week of April. Considering BRO has already opened Zanskar Valley road, I have hopes by mid of April, they will open Srinagar – Leh Highway too. We two friends are planning a leh ladakh trip in September. We want to experience everything including the snow; hence, what would be your suggestion? Is it good in September? Yes, then which part of the month? Waiting for your reply. Chaand, just keep an eye on weather once you reach Leh and then take a call. Nowadays, usually first week of October os still OK to travel but sometimes it does snow. Also, plan to directly reach Jispa from Leh without halt at Sarchu. Can I visit just Leh -> Zanskar -> Leh in August ? Is this is good time or will there be rains? Please let me know if the climate is good this time and if this is doable in such short time. Well since you are flying directly to Leh, it is rain shadow region and hence, even in monsoon, it is fine. However, Zanskar needs at least 4-5 days from Kargil and for Kargil – Leh you need minimum two days. Hence, in 5 days it is not possible. Me and my husband are planning to visit Leh-Ladakh (via Manali) from Delhi in the third week of September’ 2017 in our “Ford Eco-sport”. We are a little confused whether it will be OK to take Eco – sport to Leh Ladakh. How much wear and tear can happen to it, and will our Ford Eco-sport will be able to sustain it, as the Ford guys told us not to take it to Leh-ladakh, as it is city car and not made for off road. Can you please guide us? 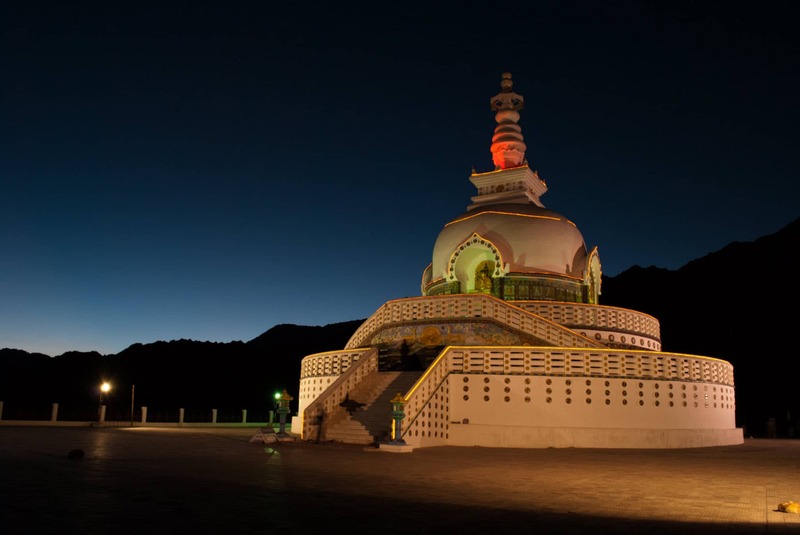 Also, want to know how to connect with other people who are planning their visit to Leh-Ladakh at the same time as it will be good to stay connected with them while travelling. 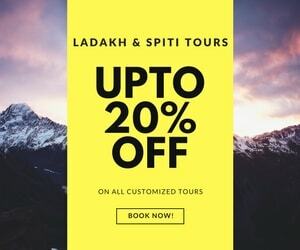 We are a group of people (2 couples) who would also be travelling to Leh Ladakh (starting on 16th September from Noida and ending on 30th September 2017). 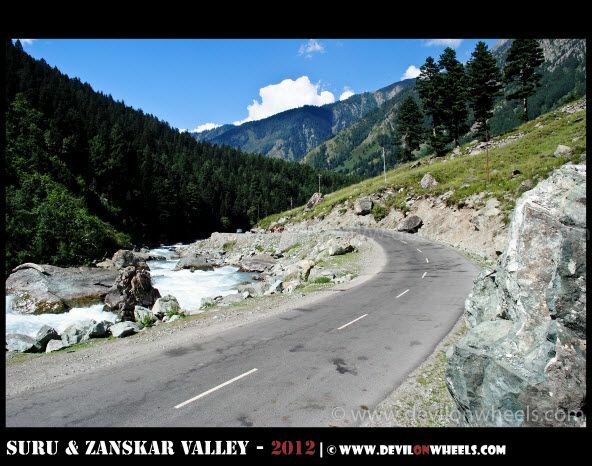 But we would be travelling to Leh Ladakh from Srinagar side and would be completing the circuit from Manali side. During the 4th week of September we would be on the Manali side. 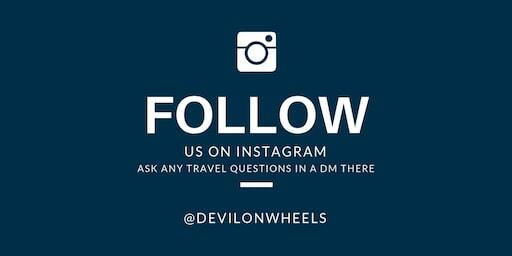 It is surely a good idea to connect while travelling. This was a wonderful article. Thank you for providing information. I would like to ask if first week of Aug would be a good time to visit Leh. I am planning to go by air to Leh. Please give your opinion. Is this itinerary good for the 25th october. is this the right time travel ladakh. can we go all the places ?? Given the days at hand, it looks fine. Please keep in mind it will be very cold in October at PAngong Tso, best will be to stay at Tangtse or do day trip from Leh. Thanks for your valuable information. Actually we are planning to visit leh ladakh in 2nd wk of september for 10 days. please tell whether camping is advisable or not during that season if yes mentioned the best place for camping. also tell either visiting all famous lake i.e. pang, tso moriri etc is possible or not. tell me about permit also , can’t we get them online so that we can save our time over there? However, only permits are applied and you have to take the print out and pay your permit fee in person in Leh at Tourist Info Center or DC office in Leh. I want to ask you very important question regarding bikers? The tussle going on between bikers of Manali and Leh is only for Rental bikes? and what about bikers who are on there own bikes, do they also have to face anytype of problems??? There is no issue at all for the own bikes in Ladakh. I’m planning for a trip to Leh via Manali. Is it okay to plan the trip in August, or it is more advisable to travel by end of June. This will be my first experience, and we’re planning for an SUV. Best is to travel in September for better road conditions and less challenges, else up to mid July is OK. Avoid monsoon travel in August. I am planning a 10 daya trip to Leh with my wife, 7yo son, two brothers starting on 15th June. I will planning to take my Baleno Diesel. It’s the very first time for me to visit Leh. Request your kind suggestions as I am really confused about whether I should make this trip or not. Also request you to advise on travel itinerary and stay options. Look forward for an early response. Thanks. Thanks again for your valuable suggestions. I have made up my mind for 9 days itinerary suggested by you via Manali -Leh route. Just bit concerned about road conditions vs Baleno. Will be happy if you suggest any precautions. Actually I am looking for this type of information from very long time but bi cant found it clearly but you describe all this very clearly! Thanks for this article. That is wonderful to hear, glad the article helped you. Can we will go to Leh (Manali to Leh via jispa) own car Chevrolet Sail Uva Hatchback 2014 Model. Do you advised me witch route is best for me Manali – Leh – Srinagar/ Srinagar – Leh – Manali .